Psoda is applying machine vision AI to automate one of the most common frustrations with Agile project management – synchronising physical and digital kanban task boards. Kanban boards tracking tasks with colourful sticky-notes are now common in most software and project management offices. But after each team stand-up meeting one unfortunate team member is often left with the job of manually updating the project management software. 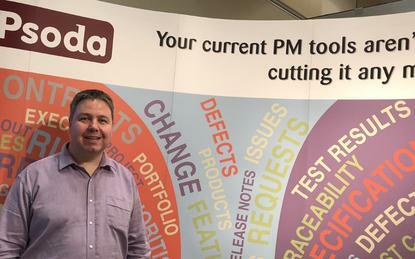 Psoda’s CEO Bruce Aylward says the PsodaVision app lets Agile teams upload a photo of their kanban into Psoda’s project management software where computer vision algorithms automatically identify cards in the photo and detect which column and position they are in now. The user confirms this is correct and enters the description of any new cards while AI automatically handles any overlaps, rotations or background noise on the cards. 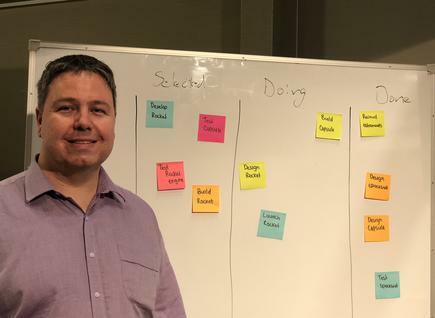 He says using computer vision to bridge the gap between physical and electronic kanban boards this way is a world-first. Aylward says the Psoda team built the algorithms for the app. He says alternative systems required pre-printed cards or printed QR codes rather than a photo of just sticky notes. Aylward explains despite the emergence of electronic boards, physical kanban boards continue to be popular. He says some companies that have been using electronic kanban boards are even going back to using the physical boards. “There is this ‘rah-rah’ moment of moving the card across,” indicating they have finished with that post, he tells CIO New Zealand. Blair Schmidt, strategic project management director at Massey University, says PsodaVision will make a big difference to their technology and continuous improvement teams’ work. “It offers developers the best of both worlds,” says Schmidt. Aylward says the app is available for Psoda’s existing users, and anyone can sign up for a free-one month trial of their project portfolio management suite including PsodaVision. He says the Psoda suite of cloud-based portfolio, programme and project management software is used around the world to manage over $10 billion worth of programmes and projects. In New Zealand, he says users include the Ministry of Education, Land Information NZ, Hutt Valley DHB and Countdown.